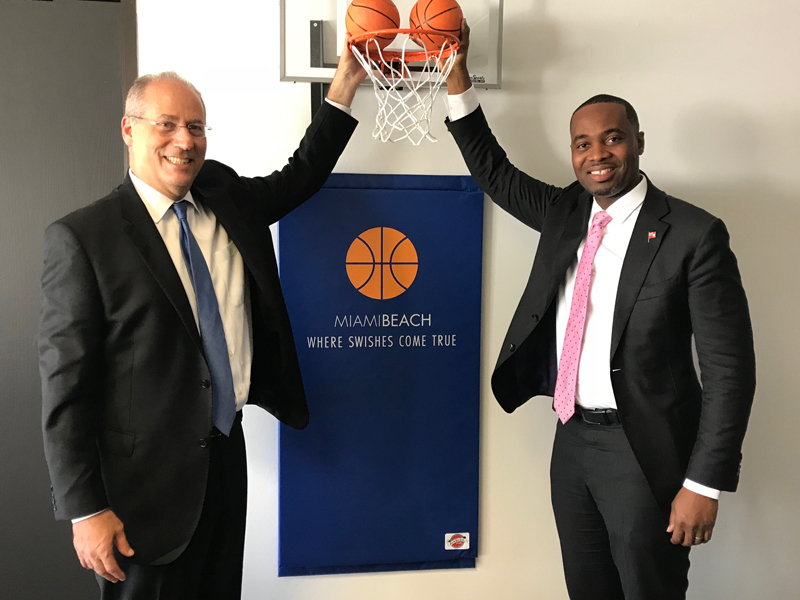 Premier David Burt was welcomed to Miami and Miami Beach by both cities’ respective new mayors yesterday [Dec 5], during a visit arranged by the Bermuda Business Development Agency [BDA] to meet Florida civic and business leaders. 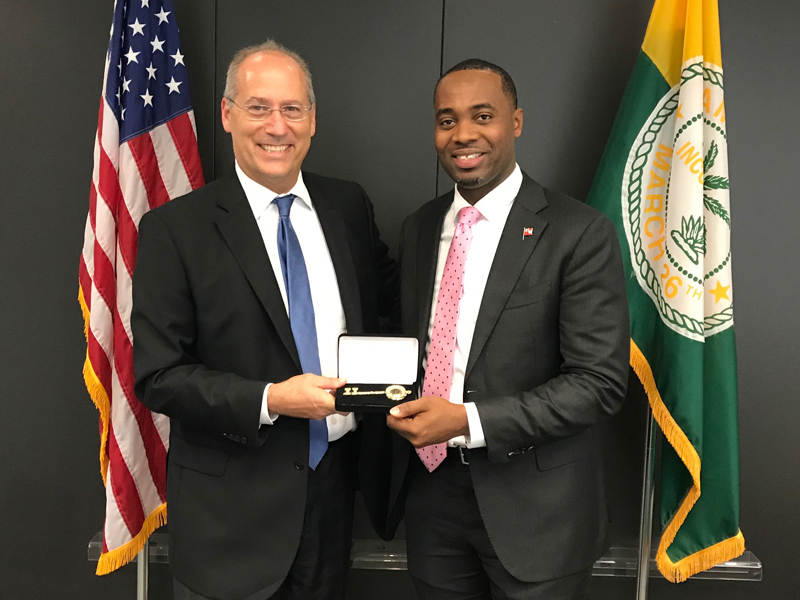 The one-day visit included meetings with the Greater Miami Chamber of Commerce, and the Mayors of Miami and Miami Beach, Francis Suarez and Dan Gelber—both of whom took office for the first time following Florida municipal elections held November 7. 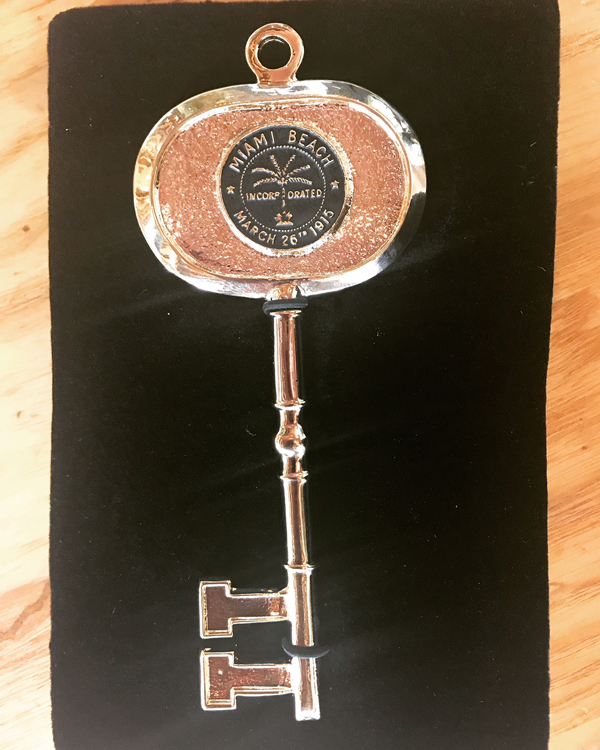 Mayor Suarez promised to explore naming Bermuda as a “sister community” of Miami, while Mayor Gelber presented the Premier with a ceremonial key to Miami Beach. 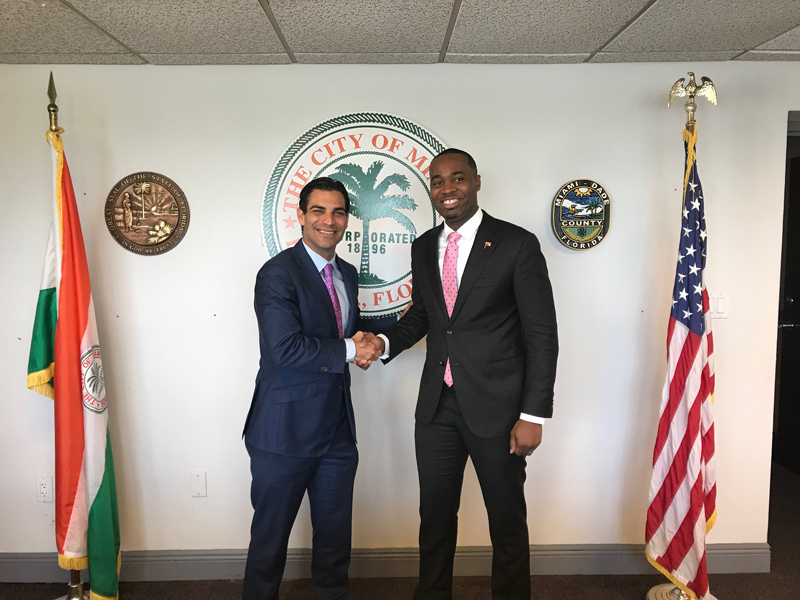 Mayor Suarez, 40, a former city commissioner who garnered 85 percent of the electoral vote to win his first mayoral term, invited Premier Burt to his City Hall office for an informal 30-minute meeting. 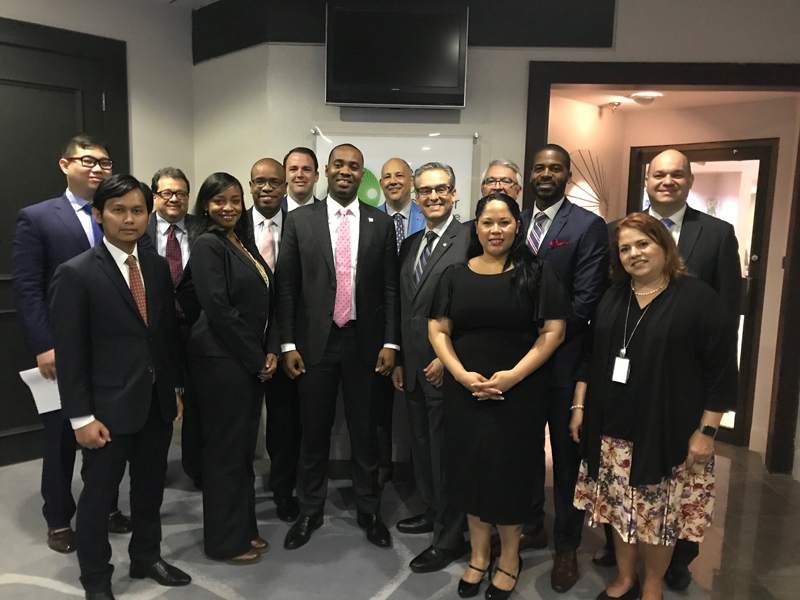 Among the Bermuda delegation was BDA CEO Ross Webber and BDA Board member Lydia Dickens of the Ministry of Economic Development. 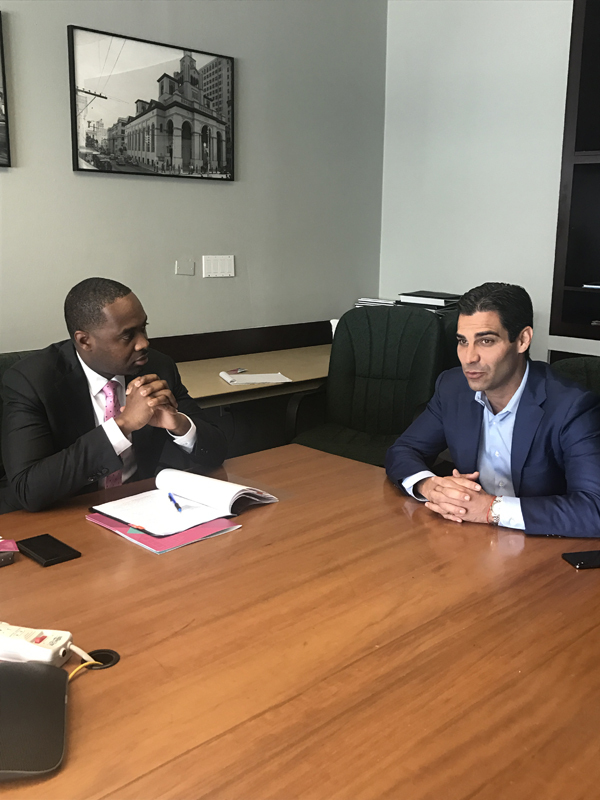 The Mayor and Premier traded insights on their recent transitions into leadership, and discussed common agenda priorities, such as reducing income inequality and building resiliency against hurricanes and climate change. 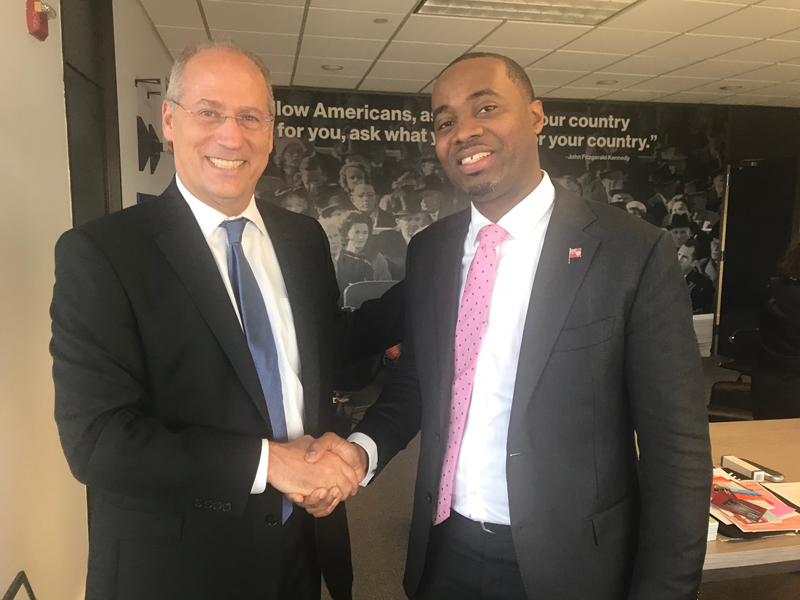 Mayor Gelber, an ex-prosecutor who served in the Florida legislature for a decade before winning the Miami Beach election last month, underscored the important role Bermuda plays in his community through its reinsurance sector. Bermuda reinsurers will pick up an estimated 30 percent of losses from this past season’s record-setting Hurricanes Harvey, Irma and Maria [HIM]. Payouts by Bermuda carriers amounted to US$31 billion, according to a recent Bermuda Monetary Authority study; most of that amount [$30 billion] went to the US and Puerto Rico. “We rely on the reinsurance industry in a major way,” said Miami Beach Mayor Dan Gelber. “Windstorm damage in Miami Beach is a major driver of costs, so having available and affordable reinsurance is critical. During a half-hour meeting, Mayor Gelber and the Premier also discussed climate-change challenges that have seen Miami Beach raise its streets between eight inches and two feet to combat rising sea levels and tidal flooding. 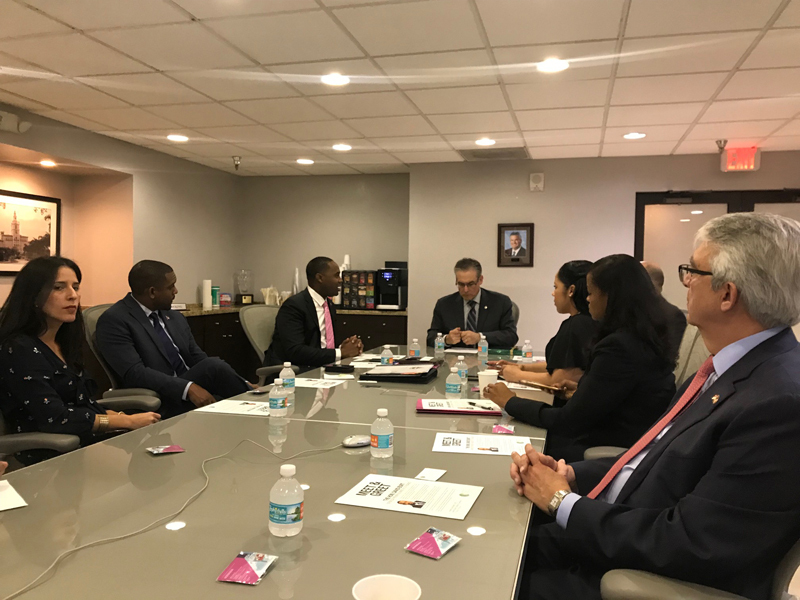 The Premier and BDA also held a productive meeting with members of the Greater Miami Chamber of Commerce, discussing issues ranging from trade and tourism to fintech, infrastructure investment, and social and educational programmes of mutual benefit. 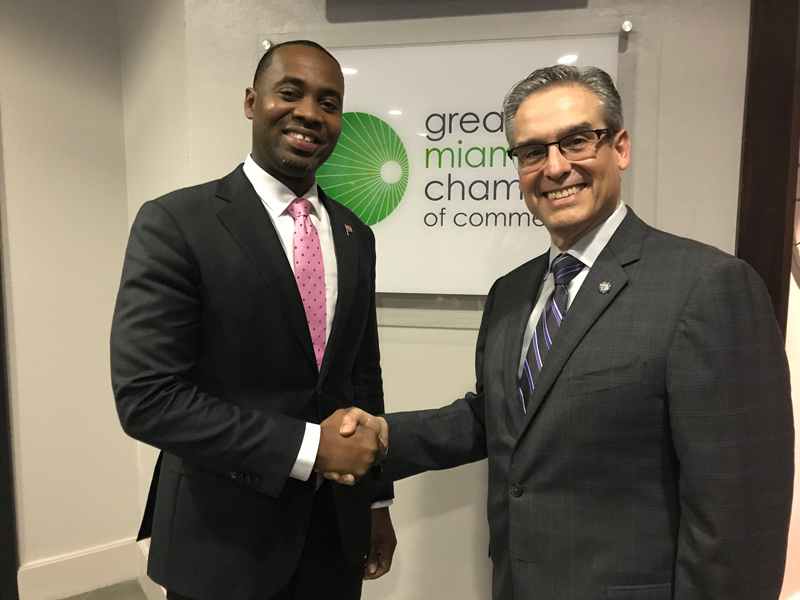 “It’s quite an honour to have the Premier and the whole delegation here and there’s obviously so much that is already happening and much more is possible,” agreed Alfred Sanchez, President and CEO of the Greater Miami Chamber of Commerce. Why is it that every time I read the news it is to see that he is travelling?! How much are these trips costing us? Don’t forget about the Chief Of Staff that travels with him. I wonder if those costs are being included on gov’s travel page. he luuuurves having his photo taken doesn’t he. Yes, but why does he always look that way? Can someone educate Burt on how to stand in photos. This isn’t a boxing promotion. If he is ever on the island I could give him tips on how stand in photos. Some of these negative comments are astonishing. In order to generate a successful economy Bermuda needs to be present, visible and compelling overseas. The BDA is creating these opportunities and the Premier is doing his job. This is something to be praised and celebrated. Not something to take petty pot-shots at. I applaud the BDA and the Premier for their tireless work exemplified by the photo shoots in London last week and Miami this week. Oh. Suddenly you understand that the economy is important. LOL. I know right. Where was this ‘astonishment’ prior to July 2017? This island is a joke. …yet not as negative, childish and racist as the comments we endured every day from the plp and its supporters. LOL, that’s cute…you spelled OBA wrong though. You’re just another hypocrite who doesn’t know what the word means….LMFAO. Well Done Premier David Burt, working hard in Babylon and stand firmer than rest, don’t hate on his true strength, you all whom question his stance should take a look at your posture and stance in these tough times, he has an ora that’s hurting so many of you lost sheep! So go meditate and find something about yourselves to change and Better yourself! His stance has absolutely nothing to do with building our business relations! He’s got more back bone than most! 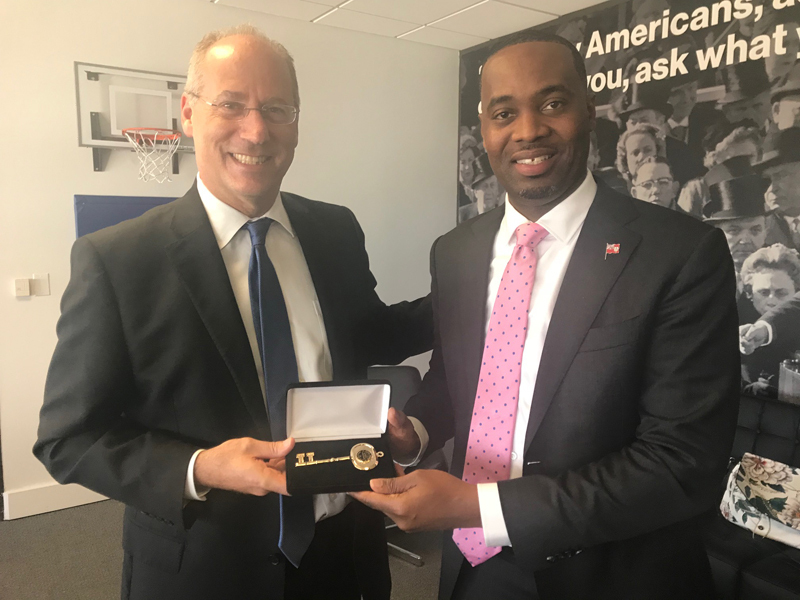 Did he declare the value of that key and pay duty on it? Or do different laws apply to him?